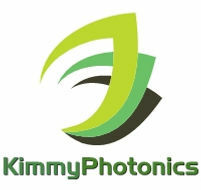 Kimmy Photonics has a background for providing innovative optical products and solutions made by manufacturers supplying outstanding quality and world-class support. Our success has enabled investment in the resources and flexibility to respond quickly to the ever-changing measurement needs of our customers. We are building our offering on non-contact, light-based technologies, providing measurement solutions that include instruments that are simple to operate and sensors that are easily integrated into systems. We combine the best technology with the best engineering, enabling us to offer a perfect solution for your application.